I Have an Exercise-Related Injury?! As a successful lifestyle blogger who regularly updates her blog, it’s my duty to make sure I’m bringing my loyal readers the best lifestyle-based content. So, I recently started working out. My previous exercise attempts have been questionable at best, but this one is the real deal. Because now….I’ve been going to a jazz dance class. Often. A real one, where everyone is more flexible than me, the choreography is hard to follow, and I sweat a lot. It’s been challenging and rewarding. And I know it’s paying off because after just a few short weeks of regular exercise, my left foot hurts when I put too much weight on it! I can tell this new workout plan is for me, because I’ve seen immediate results at getting a legitimate but mysterious injury. People might tell you that it takes time for your hard work to pay off, but those people just don’t break easily enough. If you jump into a new activity with no idea what you’re doing, you too can hurt yourself right away! I’m looking forward to my future as an exercising person. I think this injury means I don’t have to exercise anymore, or maybe that I should start working out more often because of stretching or something. I’m not even sure what’s wrong with it – google says it could be a lateral sprain or a maybe a bone bruise or maybe nothing at all – but I’m not going to worry about it. Because like all miracle cures and mystery lifestyle programs, it doesn’t matter how it works, it only matters that it works. And what’s working for me is hitting a fitness milestone really quickly. I’m a real dancer! I possess athletic tape! How should I get my next workout injury? Tell me in the comments! As a successful lifestyle blogger, I’m required to go to at least one yoga class per year. It’s a requirement I take very seriously. Yesterday as I stretched in a frighteningly quiet room, a calm woman who was not stretching told me that I could replace my negative thoughts with positive ones, and that my struggle was my choice. And I had a huge breakthrough: she was right. I can choose not to go to yoga anymore. It gives me panic attacks. I spent an hour trying to vaguely mimic what everyone else was doing, but my breathing wouldn’t fall in line. It’s hard to do yoga poses during a panic attack. Nobody should do that. I should not do that. Why would I ever do that? 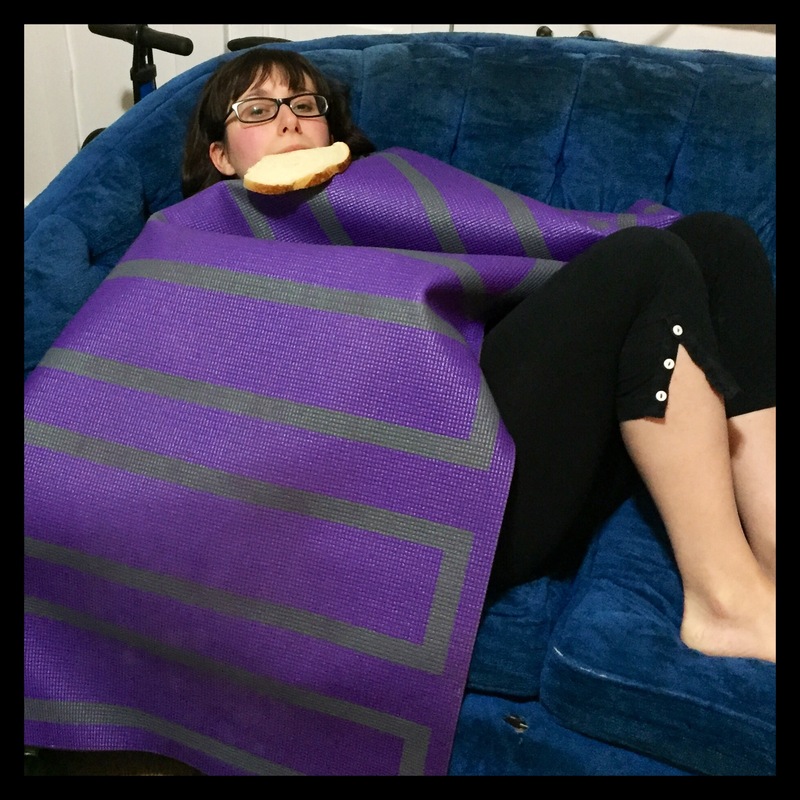 As a successful lifestyle blogger, I know it’s important to always be in a beautiful space. Check out my home office and learn how to create one of your own! Health Hack: Eat 3 Meals a Day! This was one meal I ate, but there were three in total. When I started my career as a successful lifestyle blogger, I was working in an office. It meant I got to share exciting lifestyle secrets about morning routines and after-work dinners. Now, after a long hiatus where I had no lifestyle at all, I’m thrilled to announce that I am back and more lifestyled than ever. Only now, I work from home! This means I am very zen, centered, and teetering on the edge of emotional collapse at all times. When I first started working from home, I didn’t have any groceries. This created a lot of confusion: Was there more to life than bagels and expired oatmeal? How could I obtain food if I was at home all day? Why did I feel vaguely sick all the time? Surely a cup of coffee and a salad of shriveled greens should sustain me til dinner, but alas… it did not. But then, I stumbled out of doors one night (there’s a whole world out there!) and happened upon the grocery store. At this miraculous house of food, I bought fresh produce and nourishing carbohydrates. I took them home and the next day, I ate three complete meals. And oh, the energy! I felt so human. So alive. So adequate. And that’s the thing with miracles. Nobody knows how it works! But that’s the beauty of basic biology: it can’t be understood. Even a successful lifestyle blogger isn’t immune to the turning tides in the world around her. I haven’t been operating at maximum adequacy for the last couple months – if you want to pick a totally arbitrary date, let’s say since November 8. Sometime in the late evening if we’re going to get very specific. But again, arbitrary. As a result, I’ve been a successful lifestyle blogger in name only. By which I mean, I have not blogged. I’m very sorry. I know my inherent successfulness will only carry me so far in life. But I’ve returned, and I want to use my adequacy to make the world a better place. Ruth Bader Ginsburg does twenty pushups a day. She’s 80 years old and very small. Plus, she’s incredibly busy being on the Supreme Court, which I guess is a pretty demanding job. She also has the advantage of working out at the Supreme Court-only gym, and I might stop being a successful lifestyle blogger to produce the reality series Justice Gym. Anyway, if Ruth Bader Ginsburg can handle twenty pushups a day, surely I, a successful lifestyle blogger in my late 20’s, in peak physical health, can do it too. Ruth does two sets of ten, so that’s what I set out to do. Ten is easier than twenty, and I could take a break between sets. No big deal, right? Pushups are very hard, it turns out. My arms are small spindles that cannot support my dense body. How does that tiny octogenarian do it? But! 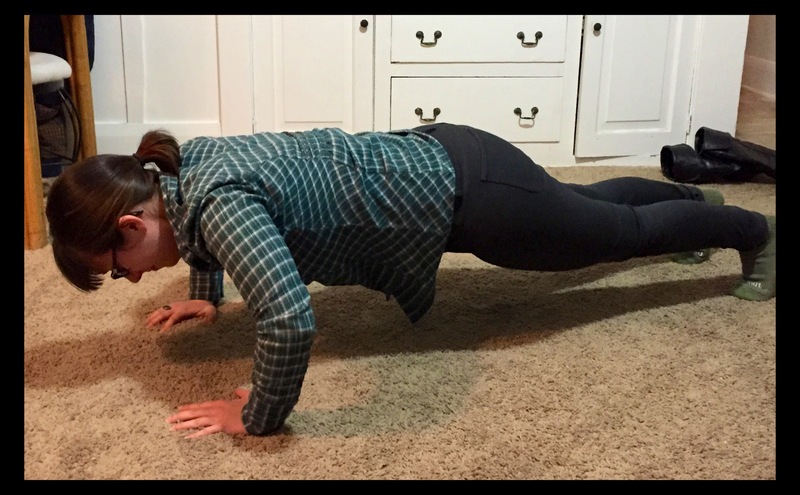 If you’re lenient on yourself about what constitutes a “pushup,” it’s totally possible to do twenty of them. Then, to make it a really ceremonious workout, I look off into the distance and proclaim, “I am Ruth Bader Ginsburg.” It gives me something to look forward to while I tolerate an entire minute of exercise. I’ve been doing my RBG’s for almost a month, which is by far my longest run at an exercise program to date. The pushups are civic-minded in name only, and do nothing to enrich the world, but I do feel ever so slightly stronger, and at this moment that feels like a victory. I am Ruth Bader Ginsburg. I don’t know if I’ll continue my career as a successful lifestyle blogger next year. For 2017, we might need to be better than adequate. Loneliness Hack: Make Festive Party Foods for Just You! Make fun dishes that are meant for groups, and eat them alone. 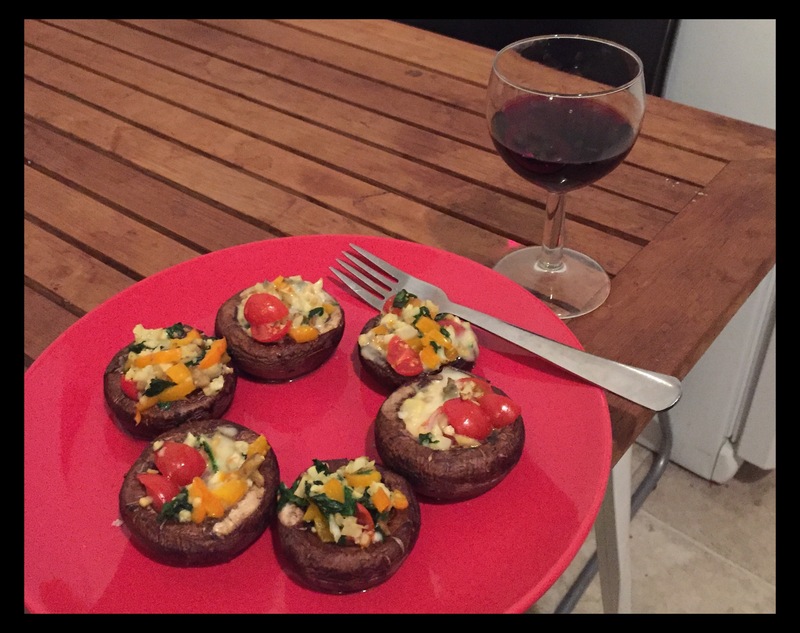 These veggie stuffed mushrooms are a healthy, decadent party snack. They’re challenging to prepare (hollowing out those mushrooms is harder than it looks! ), and the slicing, chopping, and baking process builds anticipation for what is sure to be a warm dinner party in the company of good friends. Or, a semi-satisfying dinner for one! I put them on a plate and washed them down with some wine, but feel free to hold the hot cookie sheet over the sink and go to town. 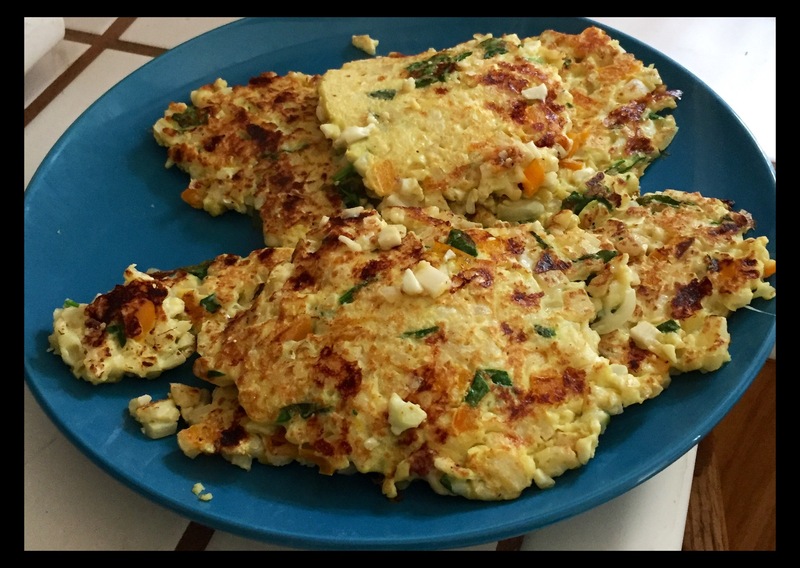 Cauliflower fritters are a healthy twist on hash browns, and they’re great for a homemade brunch with someone you love. Or, for creating an entire sink full of dishes that you, yourself will have to wash! But hovering over a hot stove and trying to flip these beauties before they crumbled? It was so worth it when I saw the look on my own face as I took the first bite, my reflection in the living room window betraying a mix of satisfaction an existential doom. Yum! 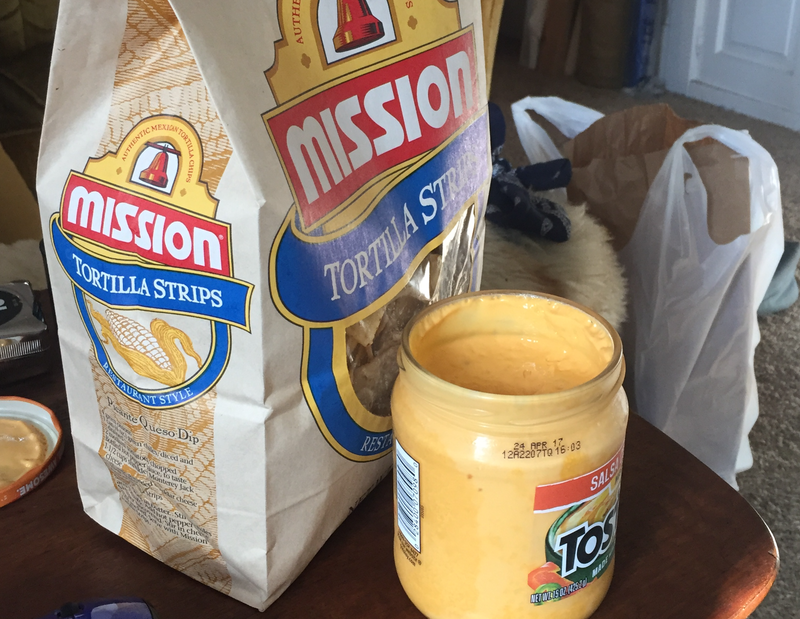 Queso dip is, technically, not food. But it is great for parties! And any event can be a party with the right snacks – even sitting on the couch and admitting that you, truly, have given up. And when you’re eating alone, nobody will ever know that you finished the entire jar yourself. I didn’t even give this picture a border, because it doesn’t deserve it. I Got All Dressed Up and Didn’t Take Any Pictures! As a successful lifestyle blogger, I know that dressing up involves a meltdown of epic proportions. From anxiety over what dress to wear, to trepidation that my hair isn’t cooperating, to being fully convinced that I’ll be under and/or over-dressed, looking nice is an all-day ordeal. Once I looked nice, I had to make sure my effort was worth it by it by taking zero photos. The fun peacock-print dress I was wearing didn’t need to be shown off, even though the (A-line? maybe?) cut of the dress was so perfectly offset by the understated low stilettos I was wearing, and I felt downright semi-confident wearing it. Install an Air Conditioner in Just 3 Months! With the first day of fall just barely behind us, it’s time to ahead to crisp mornings, crunchy leaves, and enough pumpkin spice to melt your teeth away. AND, it’s the perfect time to finish all those lingering summer projects, like installing an air conditioner! 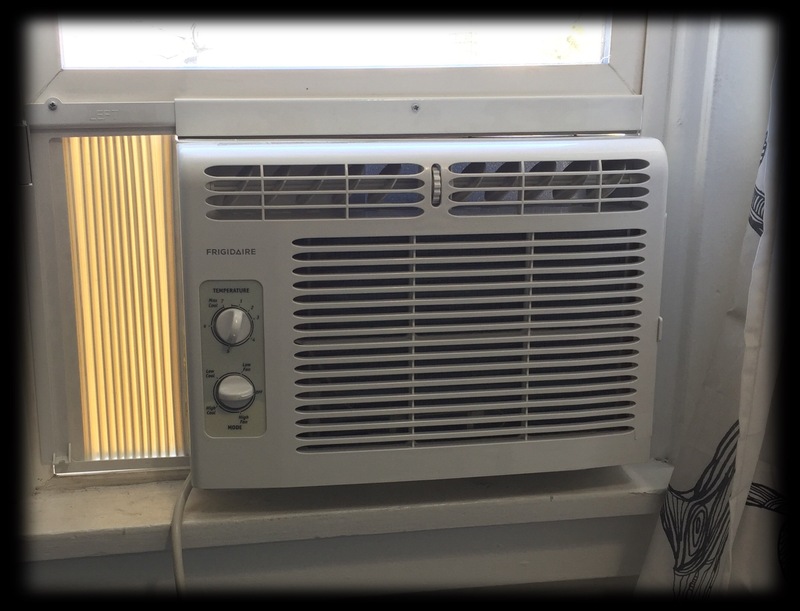 After a week in June where it got so hot that our wifi router stopped working, I caved and bought a small window AC unit on Amazon. I’d never had an air conditioner before, but with a second floor bedroom, it seemed like a good investment. I received the air conditioner on July 1. It wasn’t hot then, and using it felt like a waste of electricity. So it sat in the box for a few weeks until my roommates offered to help enough times that I caved and opened the box. So by August 1, I had learned that a small bracket under the air conditioner didn’t fit in my windowsill, and I needed to buy a new bracket. I kept “go to hardware store” on my mental to-do list for 3 weeks, until finally caving and ordering brackets on Amazon. Then, I don’t know how to use power tools, so I had to wait for the power-tool-having roommate to be in town and not working, and I had to be in town and not working, and all of a sudden, it was the first day of fall. As a successful lifestyle blogger, I take a lot of photos of myself. It’s important to show you, my loyal readers, what I look like so you view me as a favorable lifestyle personality. But actually it’s all a ruse to take a lot of selfies. I’m sorry. I could make a whole post about how this look is a part of some new beauty routine or something, but really I just like this picture and I wanted to post it. I’m sorry. I went to film something and there was a makeup artist on set. I can’t even pass this off as my beauty hack because I have no idea how she did it I’m sorry. If I were to come up with a beauty hack from this, it would be “hire a makeup artist.” But nobody can do that. I’m sorry, please indulge this post that is completely about me. When I got back to my car I took a quick picture to see what the makeup looked like. The lighting was pretty good, and all in all I thought it was a really good picture. I’m sorry. This is a totally narcissistic post where I pretend I’m telling you a beauty hack but it’s just to validate me and I’m sorry. I’m so sorry. I’ll even make the picture really small so you don’t have to look at my face too much. I don’t want to waste too much of your time loading a big picture of my professionally altered but totally natural face. This blog is supposed to tell you how to live an adequate life, and I’m only showing you an adequate illusion. 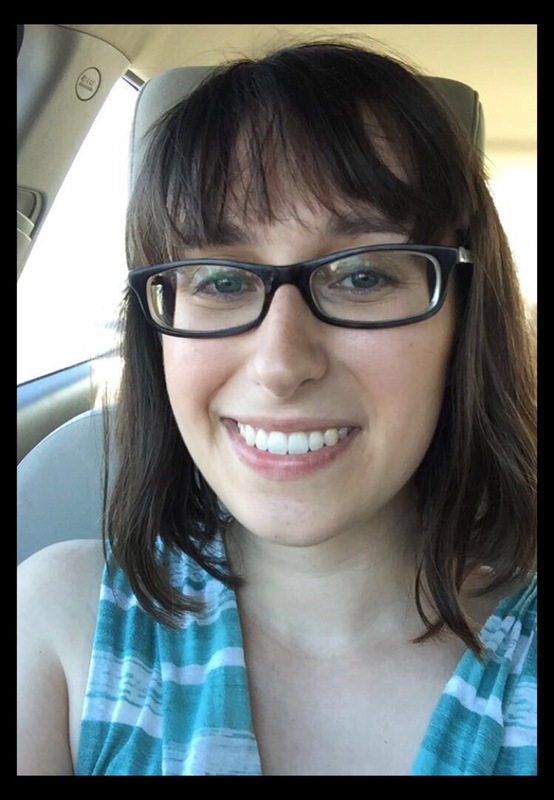 Would it help if I pointed out that my glasses are crooked and my bangs dried kind of weird? No? Sorry. This was unnecessary. I’ll be back with a recipe or a cleaning tip next time I’m sorry. Again, so sorry. Do I look okay though? A Fun New Haircut, or a Cry for Help? As a successful lifestyle blogger, I know that your look is the most important reflection of who you are. That leaves me to wonder: if I change my look, who am I exactly? 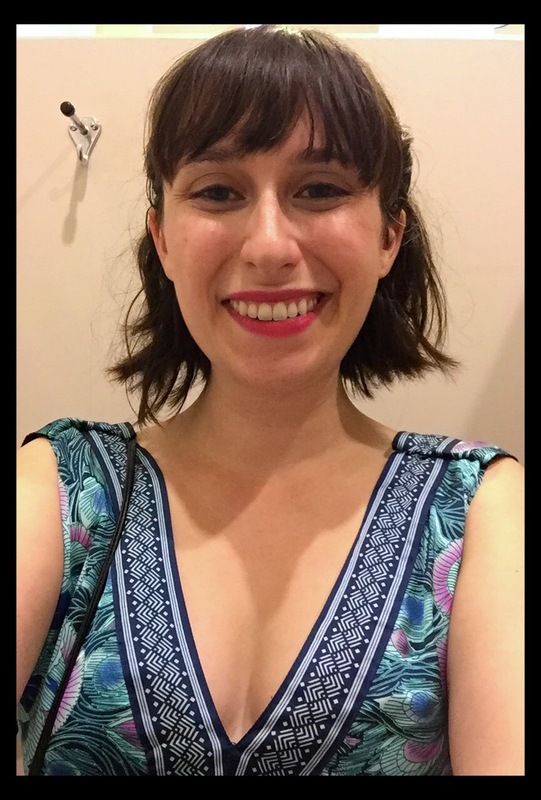 I cut off 6 inches of my hair to find out! A drastic haircut is an exciting way to update your look and make the world seem fresh and new. Or is it a desperate plea to inject a little big of excitement into your draining, monotonous life? Who knows! Either way, I love my new haircut. I knew it was time to cut my hair because it was getting hard to wash, but I could just sense that it was time to cut off so much of my hair that I feel like I’m living in someone else’s body. Was it because I wanted a fun look for fall? Or because my soul was desperately crying out, “Someone, save me from my rote daily existence that stretches on into infinity with no end in sight?” Ray at Atomic Hair Lab did such a great job that it doesn’t even matter! The feeling of watching giant chunks of my own hair fall to the floor and collect at my feet was liberating and exciting. Piles of hair fanned out before me, like dismantling all the dreams and plans I made for my life and combing through them, wondering if they will ever pan out and if the journey is really worth it at all, at the end of the day. Wondering: how does one ever really know if they are taking the right steps forward, or even if they are taking steps forward, when the journey only makes sense in hindsight looking back. It’s an endless puzzle, but then, isn’t the puzzle the most important part of the journey? Will it ever become easy to live with uncertainty? Anyway, the haircut’s great.